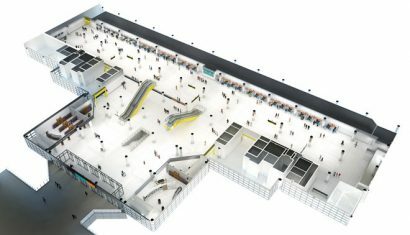 In an era of mass personalisation, Robert Stewart, Principal Airport Architect and Masterplanner at Atkins, considers whether synergies between the design of airport facilities and the use of digital innovation and automation within them can allow airports to rediscover the personal touch in a way that’s accessible to all. Few remember the glamour associated with the beginning of the jet era, let alone the pioneering days of air travel when personalised service and first class travel were the preserve of a select few who dared, and could afford, to fly. More often now we find ourselves lost amongst thousands of others being processed through the airport, where comfort and personal service may sometimes be sacrificed for speed and efficiency, cost effectiveness, and of course the security measures needed to protect us from a new range of threats and dangers. What needs to be considered is how we create the ‘Smart Airport’ of the future. 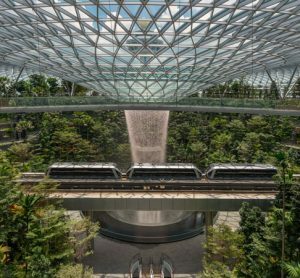 The airport terminal is an unusual building type – often iconic in design, yet rarely a destination that the user chooses to experience and savour. Rather it performs primarily as an interchange to facilitate the efficient transfer of passengers from one mode of transport to another – or in the case of the larger hubs, between journeys on the same mode. The resulting diversity of passenger routes through the facility – each with its own particular processing requirements – leads rapidly to complexity of building form and airport systems. Within this complex environment, as passengers we want an experience as smooth, effortless and stress free as possible – an experience that interferes the least with our objective of reaching our ultimate destination safely and on time. Greater process efficiency and lower stress levels have pay-offs too for airport owners in higher customer satisfaction and increased commercial returns. The adoption of new processes and technologies to automate the journey, such as the self-service bag drop recently deployed for easyJet at Gatwick North Terminal, already means that departing passengers spend less time landside, with the focus of passenger experience shifting towards the airside departures lounge. As processes such as security screening become more efficient and less time consuming, we can expect more passengers to reach airside lounges sooner, creating new opportunities for service and experience. This increased automation of processes combined with new capabilities in digital technologies also enables true personalisation of the passenger journey. The opportunity this presents is to make the age of mass air travel feel once again a personally exciting and glamourous experience. 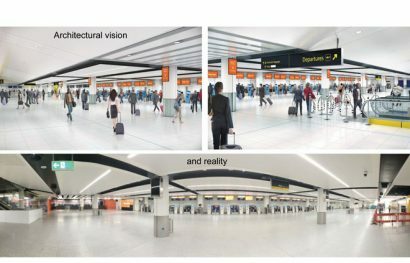 Improving the passenger journey physically and digitally Atkins was recently involved in the design of the largest self-service check-in facility at Gatwick North Terminal for easyJet with 48 bag drop positions, and Generation 2 security reconfiguration and upgrade. This involved reconsidering the ergonomics of the passenger interface as well as the appropriate overall layout and signage to support the new processes and communicate effectively. We are already familiar with the use of biometric data for individual passenger processing – whether for management of domestic and international passengers within a shared departure lounge or to reduce immigration queues at e-gates. The development of high resolution imaging and ever more powerful data processing make it possible to pick out and recognise individual faces within a crowd of people, opening up new opportunities for flow management or security processing. In parallel, big data analytics provides the opportunity to build a comprehensive view of individuals – their preferences, habits, likes, dislikes – and thence allow us truly to individualise the passenger journey by recognising and responding to their particular needs at all points of the journey. But as travellers do we want a smoother and more personalised service in return for our personal data being shared, or are we likely to reject such technological advances? 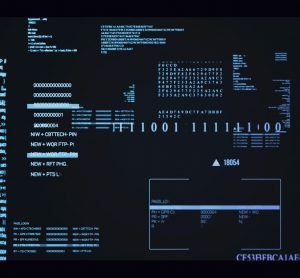 Is there simply too much information about us out there, and will public pressure suppress this innovation in favour of a less intrusive service that places privacy and data protection above personalisation? Looking at each of the potential benefits in security and convenience that the personalised journey can give us will perhaps help us find the right balance. Passengers will plan their journey from home, buying one ticket that covers their journey to the airport, flight and onward travel to their ultimate destination. They will be able to plan their waiting time at the airport, receive discount vouchers and special offers for their favourite restaurants and stores, and decide when and where their luggage will be dropped off or collected from. Passengers will be kept moving at the airport. Personalised wayfinding will guide individuals through the terminal, giving accurate timings at each stage. Queuing for security and immigration will be minimised through the use of predictive and real time passenger flow management systems. Security search will use non-intrusive, on-the-move facial recognition and bag scanning, along with risk based analytics, to identify high risk travellers, facilitating faster queue free passage for the majority of passengers. Real time data from transport systems will allow flight schedules to be adapted to allow for delays in travelling to the airport that are impacting a number of passengers, for example a delayed train. 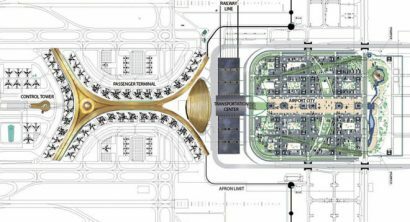 Passengers will also have better connected, automated travel options (such as driverless cars and transit routes) providing seamless, reliable public transport options – negating the need for parking personal cars at the airport. 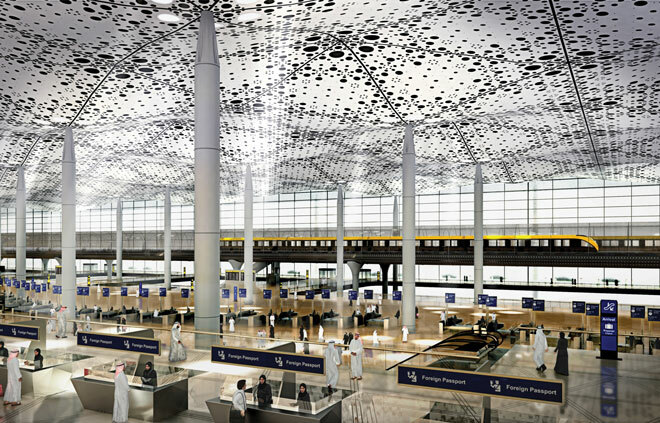 Atkins’ joint design and IT team worked together on King Abdulaziz International Airport in Jeddah, Saudi Arabia, to integrate design and IT to meet passenger expectations. The development is now at the advanced stage of construction. 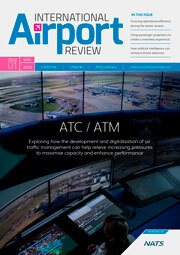 Digital asset management and the large scale sharing of information between the airport operator, airlines, ground handlers and support organisations will ensure improved punctuality of flights and that airport facilities are kept in excellent working order and that the right level of resource is deployed to deal with passenger levels at any given time – leading to a seamless, stress free passenger experience. Perhaps one of the next steps towards this journey of the future, which Atkins is exploring in partnership with our airport clients, is the ‘single token journey’. In place of the multiple documents required by airport, airline and border control authorities, a unique identifier, such as a biometric, could be adopted for all interactions required at every stage of the journey. 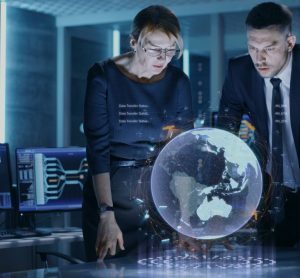 Subject to satisfying requirements of privacy and data protection, this same technology could support terminal operations and airfield management through passenger tracking and behaviour monitoring and predict resource requirements in advance of demand. It can also allow both airport and airline management to deliver personalised messages to passengers to enhance both on time departures and revenue generation for airport retailers. Quality spaces that have been designed and maintained with care. Our facilities also still need to be designed with growth and change in mind, with flexibility to re-zone areas as processes change. 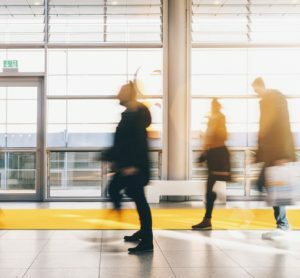 Whilst offsite and online check-in, for example, is reducing some of the pressure on departures concourses, the current generation of safe and efficient security checks involve ever increasing space. We also need to remember, in this exciting new personalised environment, that there will always be customers who need more help than any app can give. In their cases, we should perhaps take advantage of automation of the main-stream process for staff to offer personal assistance to those who need it most. So to realise the opportunities presented by these new technologies and processes, the architect, planner, engineer and technologists need to collaborate more closely to deliver a truly integrated experience, in which the virtual world complements and reinforces the passenger’s real experience. We need to break down traditional boundaries, recognising the value brought from across disciplines and organisations, and create a dynamic environment that promotes innovation and shared learning. The prize is clear – as we travel more in a connected world, we can recapture the joy and personalised experiences of the early years of air travel. And perhaps allow us just a little more time to truly appreciate the world class airport buildings through which we travel. 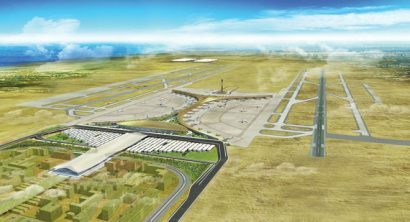 Robert Stewart has 30 years’ experience in the master planning and architectural design of major airports. 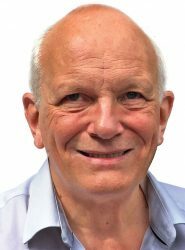 He has led the aviation and transport sectors in a major architectural practice with a personal emphasis on airport master planning, facilities design, terminal and ancillary project architectural design. He has worked on some of the world’s largest airports, including projects at Gatwick, Bristol, Heathrow, London City, Dubai World Central, Hong Kong International and Medina Airports. Congratulations on your great professional achievements! Hoping to see this transform the way Airports in India function.